Founded July 2, 2007, LezTalkMadison@yahoogroups.com (LezTalk) is an online community with current membership numbers in the mid-600s that is designed to provide lesbians of south-central Wisconsin (or wanna-be’s) a one-stop shop for posting and receiving event information, resources, referrals, requests, and questions directly related or connected to lesbian and lesbian-oriented content. The list is moderated, meaning that all posts are reviewed and approved for posting, and women who join must be approved for membership. LezTalk also has a sister list; Lezdatemadison@yahoogroups.com is an offshoot of Leztalkmadison designed to make one-on-one connections of the romantic kind. How did LezTalkMadison get started? 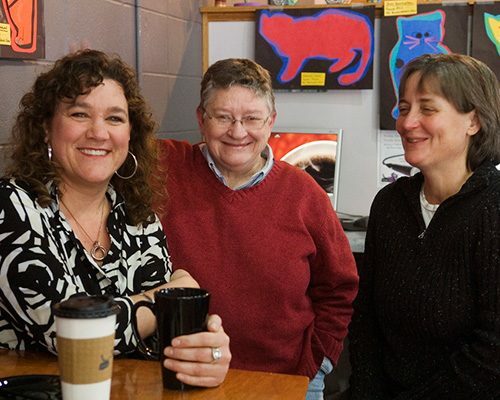 LezTalk was started by community organizer Patti Thompson, who for two years in a row, was frustrated by not having one source of outreach to Madison lesbians in order to recruit traveling companions for a trip to the Boundary Waters Canoe Area. Upon outreach to local LGBT groups requesting they post the announcement, she was informed they only post information related to their own groups. 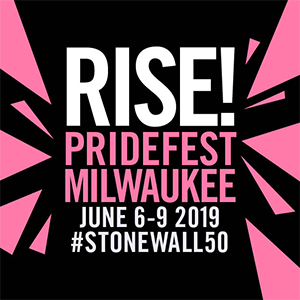 Patti, also having felt that Madison’s lesbian community was rather disjointed at the time, took the bull by the horns and started an email listserv dedicated to Madison area lesbians for the purpose of making connections. What kind of traffic does LezTalkMadison receive, and what are the most common topics posted? Since its birth, LezTalk has put through 3,300+ postings. Typically about one to four postings come through daily. Members can set their email settings to receive the digest version, which truncates the messages into one email with an index of subject lines at the top for quick review. 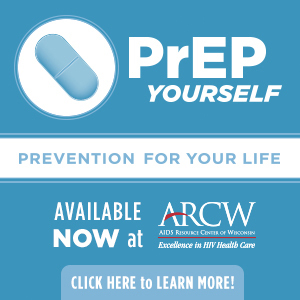 Most common topics posted are LGBT events, housing available, and skilled trades people and medical practitioner referrals needed. Please describe the impact of LezTalkMadison on the lesbian community. Patti’s favorite story summing up LezTalk’s impact occurred one night when she was at an Indiequeer dance. She ended up sitting at a table with a new couple in town. Without knowing Patti’s role with LezTalk, one of the women told the story of how they were enroute moving to another state but ended up detouring and finding their way to Madison. They were told one of the most important things to do is get on the LezTalkMadison. The visitor proceeded to tell how important the list had been to helping them connect with local lesbian and that it made all the difference helping them settling into Madison. Overall, it has revolutionized our community’s ability to stay connected, reach out for help, and cast a wide net for advertising events and resources. What is the most noteworthy posting on LezTalk? One of the most noteworthy postings happened in February 2008 (message #745) during the Obama and Clinton primaries. The list was quite young and its mission was still being defined. There had been a lot of activity on the list focused on discussing the pros and cons of each candidate. As you can imagine, the race and gender issues were right up on the surface and postings were getting more heated. As the listowner, Patti sent out a clear and diplomatic message calling the end of any further political discussions on this list, and also defined for herself, as the leader of the group, what her vision is for LezTalk. A seemingly innocent posting could and has caused an onslaught of opinions and discussions, so now we moderators watch closely for those tones and either reject them or ask the poster to reword.